KANSAS CITY, Mo. — The Kansas City Chiefs, who have been playing without both of their starting safeties all season, finally received some good news at the position. 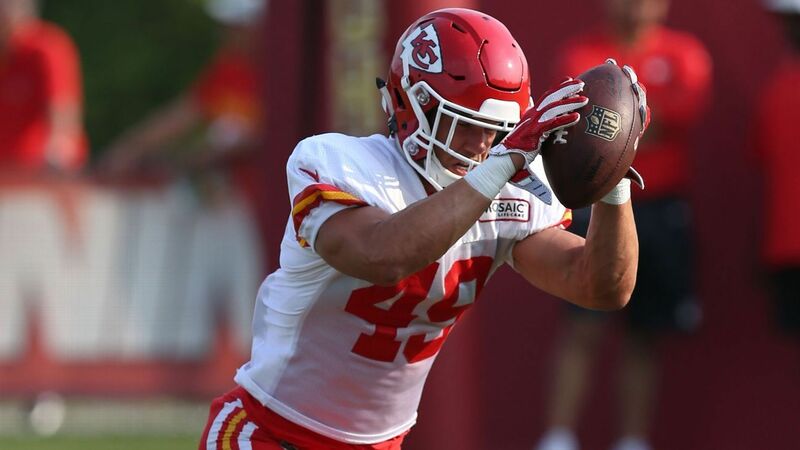 Daniel Sorensen, who injured his knee during training camp, was activated off the injured reserve list and could play as soon as Sunday’s game against the Arizona Cardinals at Arrowhead Stadium. Andy Reid’s risky decision to hand his offense over to Patrick Mahomes is paying off more than anyone could have dreamed. Sorensen tore the lateral meniscus and suffered damage to the MCL in his left knee during a special teams drill at camp. He also broke his leg. Sorensen returned to practice two weeks ago. The other starting safety, Eric Berry, hasn’t played or practiced since Aug. 11 because of soreness in his heel. The Chiefs weren’t deep at safety to begin with — even before the injuries to Sorensen and Berry — and had to scramble without them. One starter, Ron Parker, was signed as a free agent shortly before the start of the season after going to training camp with the Atlanta Falcons. Jordan Lucas, who has been a part-time starter at the other safety position, joined the Chiefs at the same time in a trade with the Miami Dolphins.